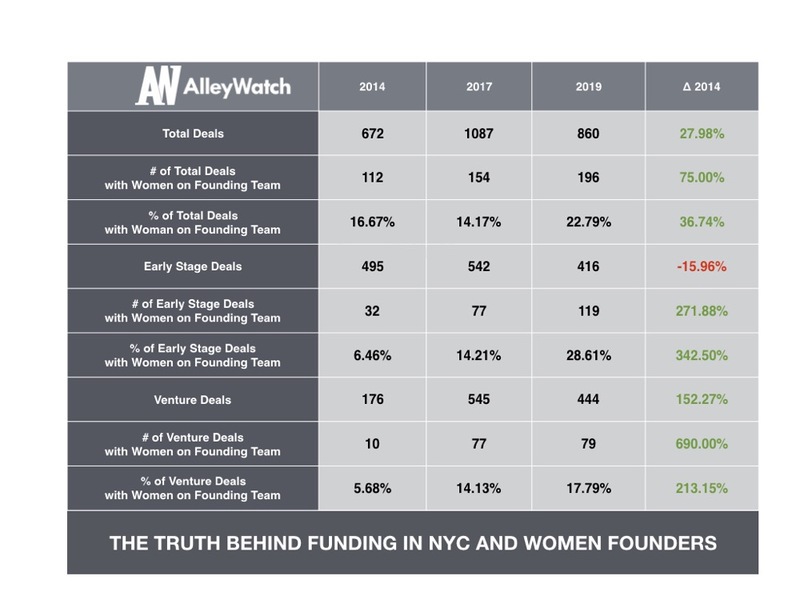 Today, I take an updated look at the numbers behind female-founded companies and their respective place in the greater entrepreneurial ecosystem in New York and compare the progress from the 2017 version and the original piece on this topic from the Fall of 2014. Relying on some data from our friends at CrunchBase, coupled with some internet research, I have taken a quantitative perspective on the how the presence of a woman on a founding team affects startup funding across various funding stages in New York. The analysis covers 18 months stemming from June 2017 through December of 2018. For classification purposes, early stage is pre-seed, seed, and angel rounds. Venture rounds are considered anything that includes Series A, Series B, etc. 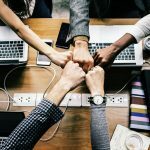 A quick review indicates that there has been marked and definite improvement in the number of women-founded and mixed gender teams that are raising funding in New York and an improvement in dollar amounts raised for these teams since our initial report in 2014 across all the funding classifications. 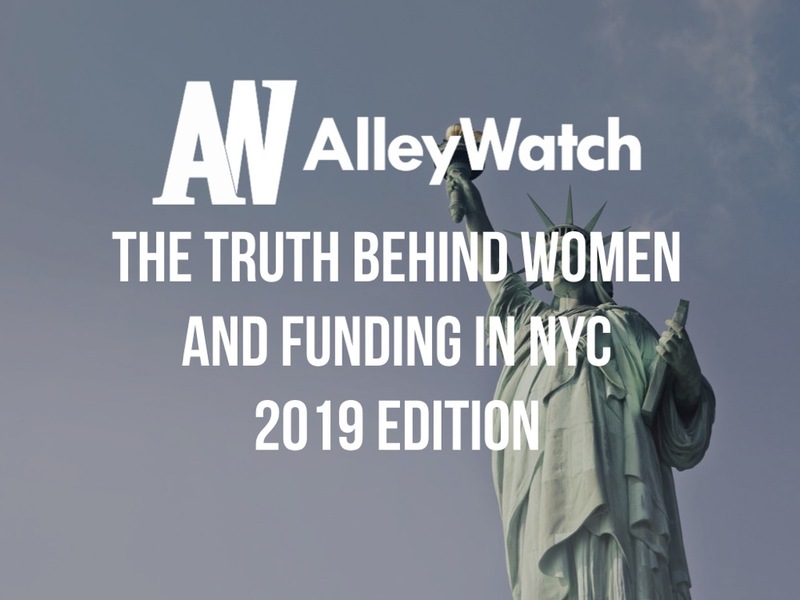 The share of total funding deals in New York for mixed gender teams has increased from 16.67% to 22.79%, marking an increase of 36.74% since 2014. 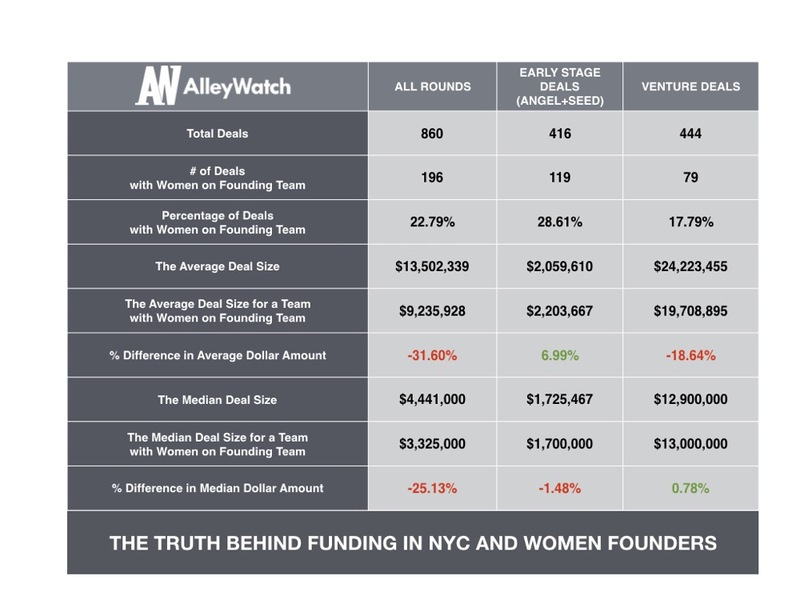 This trend has largely been influenced by the 271.88% increase (from 32 to 119 deals) in the number of early-stage deals for mixed gender teams, which signifies that 28.61% of early-stage deals have at least one female founder in NYC over the last 18 months, from an abysmal 6.46% in 2014. 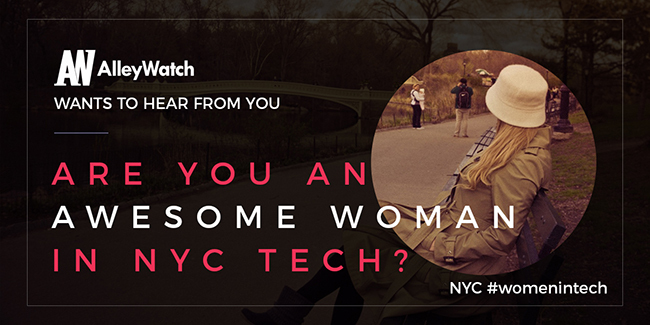 This increase for mixed gender teams is outpacing the national market. 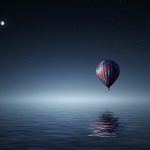 Similarly, for women only founded teams, the share of total funding deals has also gradually increased from 6.25% to 8.72%, an increase of close to 40%. 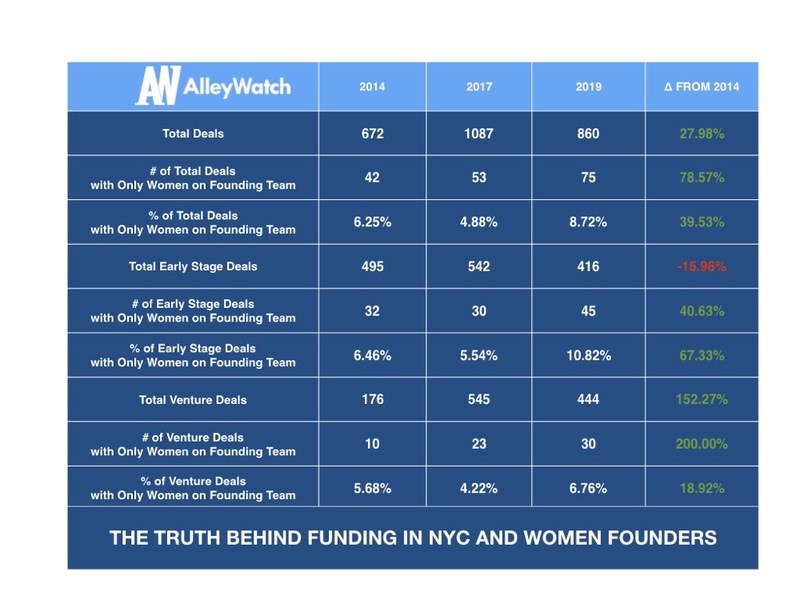 Women only teams have been able to scale and since 2014, the number of women-only funded team has increased 78.57% (from 42 to 75) across all funding rounds with an impressive 200% increase on the venture side with 30 women only founded teams raising venture funding, up from only 10 in the 2014 period. 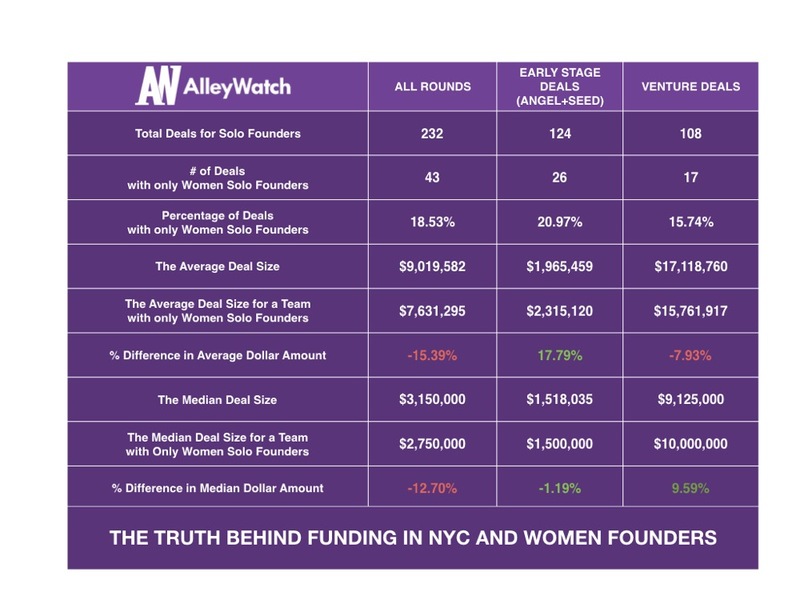 Differences in funding amounts continue to narrow for the most part for both early stage and venture rounds. Notable differences do exist though as a result of a number of very large rounds founded by all-male teams that have slightly skewed the data.